Getting set-up in the barn. Graham Cook, Betty Sadler, Bradley Craddock and Neville Andrews with two of the the Team Hadleigh banners, these banners were on display at the castle during the olympic event in 2012. A busy 'Rare Breeds' centre. 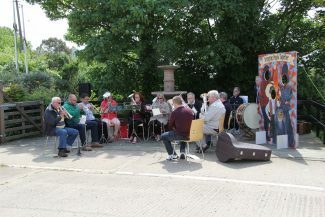 One of the brass groups entertaining during the day. 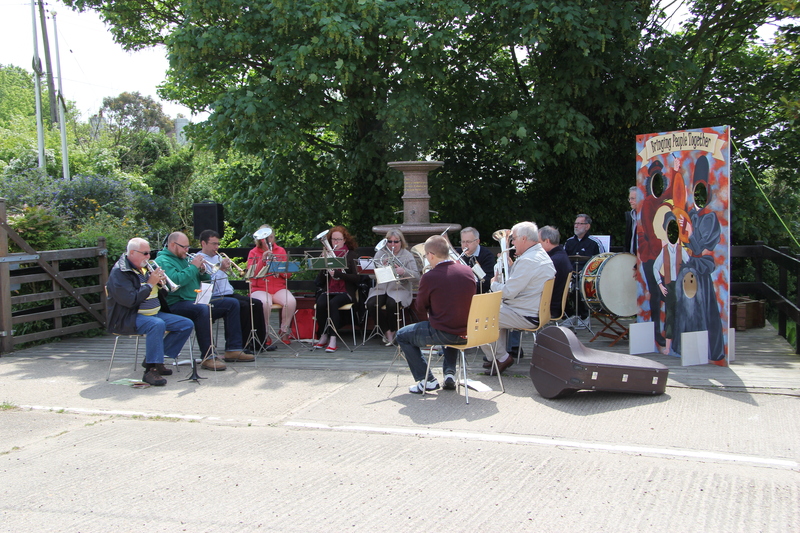 The first of our visits into the community and local churches was on the 1st June 2013 when the Archive Group, as part of the extensive ‘All Our Stories’ programme, visited the Salvation Army Training Centre in Hadleigh for their fun-packed day which had all the elements of a country fair. The aim of the day was to bring together people from all the Salvation Army centres in this east London division and to engage with the local community. 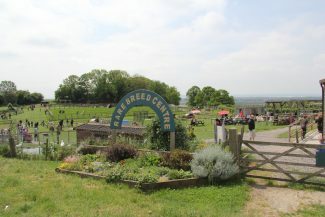 Whether it was Messy Church amongst the livestock, a tractor ride to view the Olympic Mountain Bike track, a wander round the fair and craft stalls, getting involved in races or competitions or simply enjoying the various live music from the band stands, there was something for everyone. 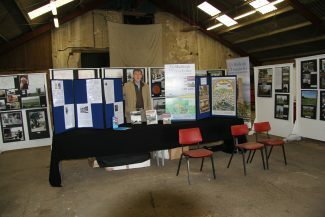 The archive group was given a very generous space in the barn along with other craft stalls. We were able to put on a good display of Farm Colony history. 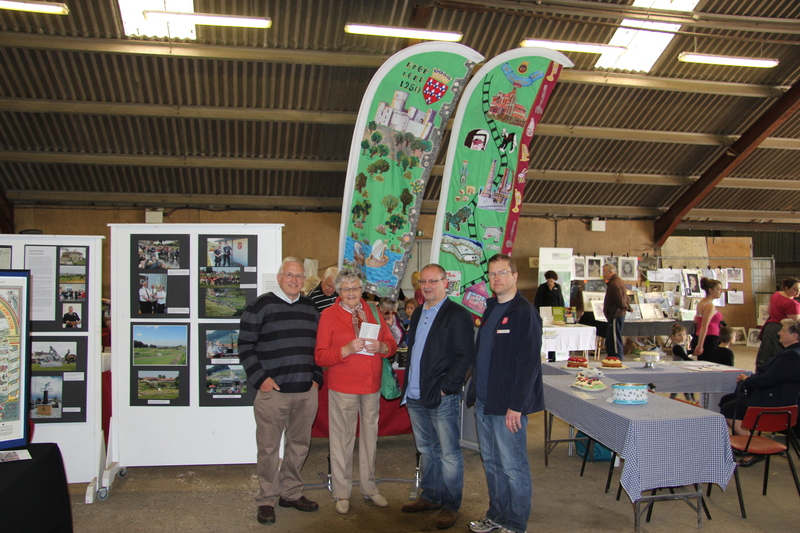 There was also a broader local history with posters using material prepared by Chis Worpole of the editorial team, and erecting the Team Hadleigh banners which had been produced for the Olympics in 2012. 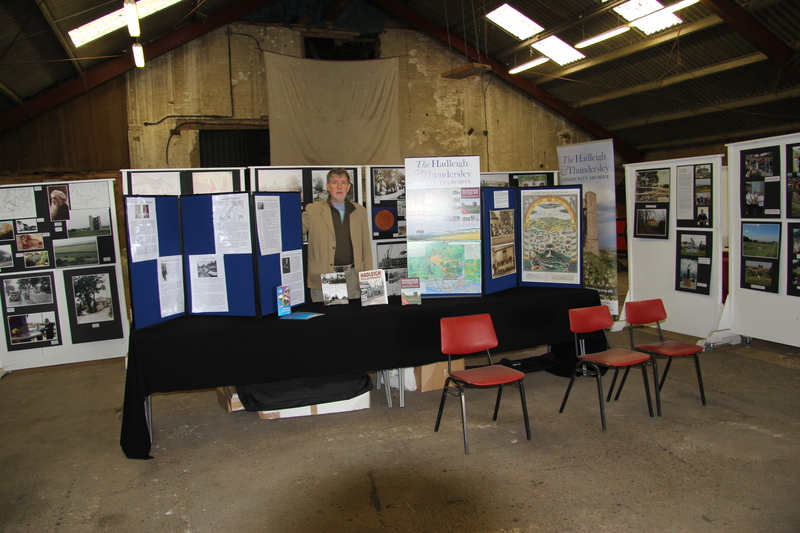 Our Community Archive banner was used to good effect, too and we seized the opportunity to launch our History Map and take advance orders for our first publication ‘HADLEIGH: Postcard Memories’ by Robert Nichols. The weather was kind and a good day of celebration ended with a BBQ for those who wanted to stay.